Back on the blog with another Scotch VS Scotch! I picked these two contenders purely based on their age. Not that age means anything but it’s interesting to see how different two bottles of distillate, aged for the same amount of time in barrels, can taste. 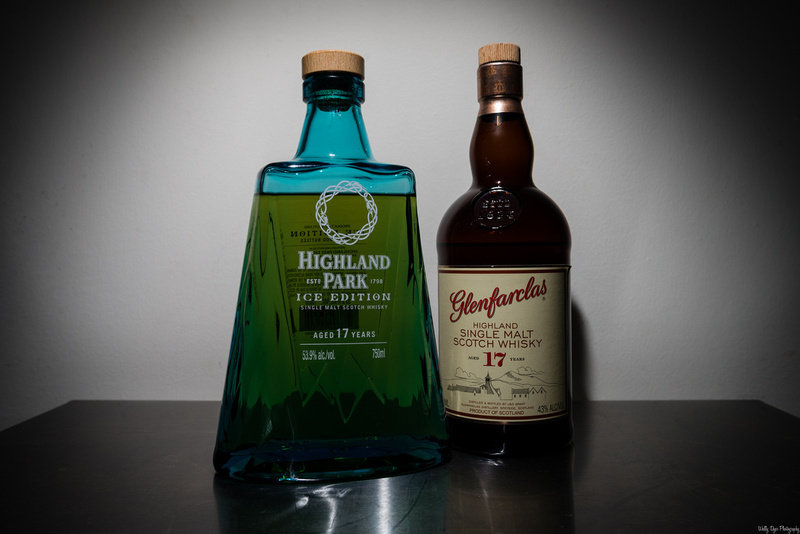 In one corner, we have the Glenfarclas 17. It hails from a family run distillery founded in 1865 (well purchased from Robert Hay who actually founded it in 1836 but it’s been owned by the Grants since). 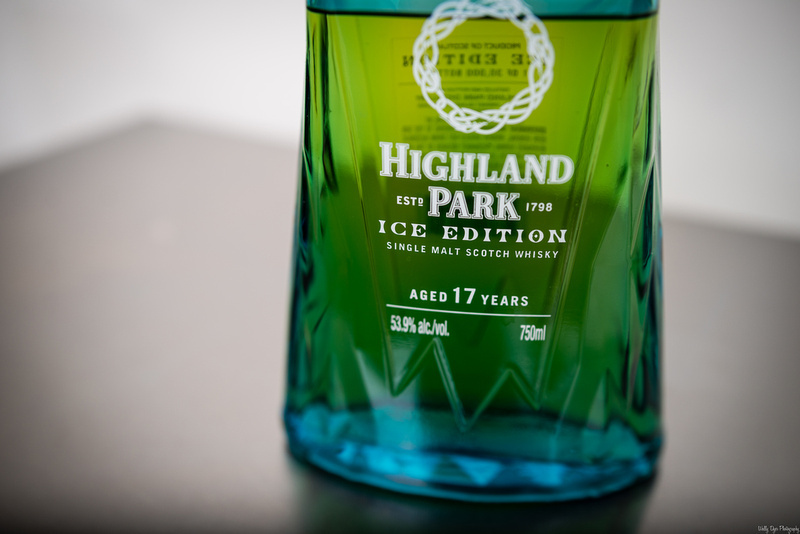 In the other corner, we have the Highland Park 17 Ice. From the Norse mythos that overrun Orkney, this Edrington owned distillery was the first to score a perfect 100 in the Ultimate Spirits Challenge (Highland Park 25 in 2013). All of their histories aside, we’ll see which one flat out tastes better! 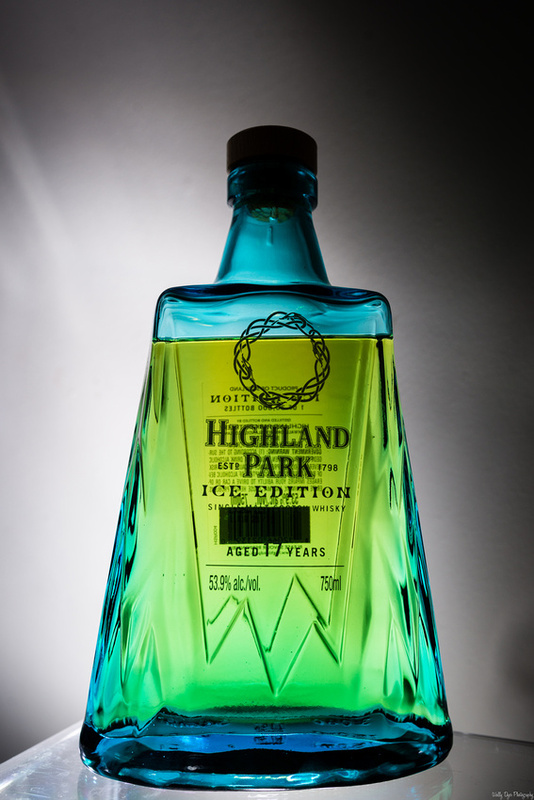 The Highland Park (HP) 17 Ice is just a shade off of white grape juice. The super light color outside of the blue bottle is just another call to the “Ice” name. 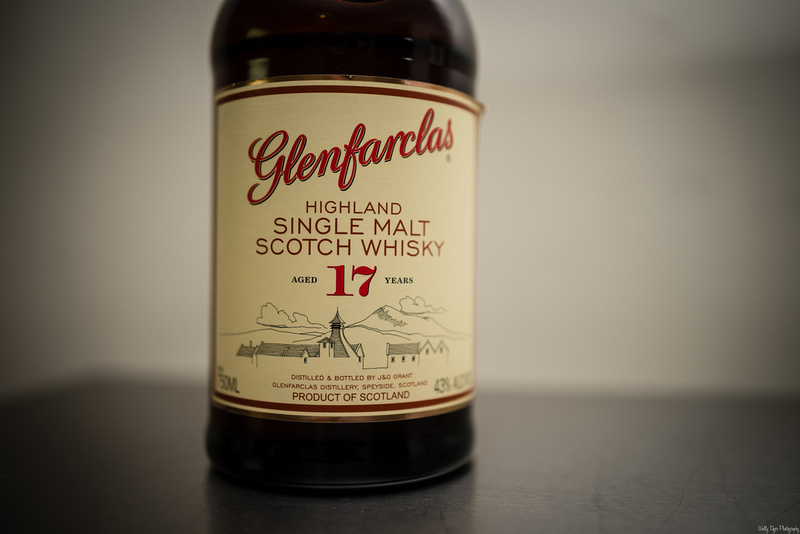 The Glenfarclas 17 is a slightly darker shade of gold, almost like looking at a gold ring underwater. The Glenfarclas weighs quite a bit more on the nose than the HP. The Glenfarclas really hits you with sherry spices but with a touch of water a surprising bit of oak rises to your nose. The HP side-by-side with such a sherried monster is actually very, very sweet. More sweet than it is smokey and peaty which is a nice departure from typical HP offerings. Once again, I’m loving each of these offerings twice as much thanks to the contrast created by enjoying them side by side. The Glenfarclas is like butter on the tongue with sherry, cinnamon, and Glenfarclas’ famous Christmassy spices. It’s got such a rich texture on the palate that it’s hard not to like. There’s a wonderful balance of oak and sherry. The HP on the other hand is slightly tannic, starts a bit soft and sweet, but explodes quickly into a peat bomb. Chewing it to find flavors, it’s a bottle of peat, wood, and spices. The spices are so edgy over the woodiness, it’s almost like… well… Ice. WHOA. With a bit of water tossed into that 53.9% ABV, the Ice explodes into a vanilla laden comet headed straight for your tongues orbit! Now THAT is a nice change of character!! The finish on the Glenfarclas is a bit of apples over spices all burned and served over smoking oak. The finish on the HP is oily and peaty which is not much of a surprise. 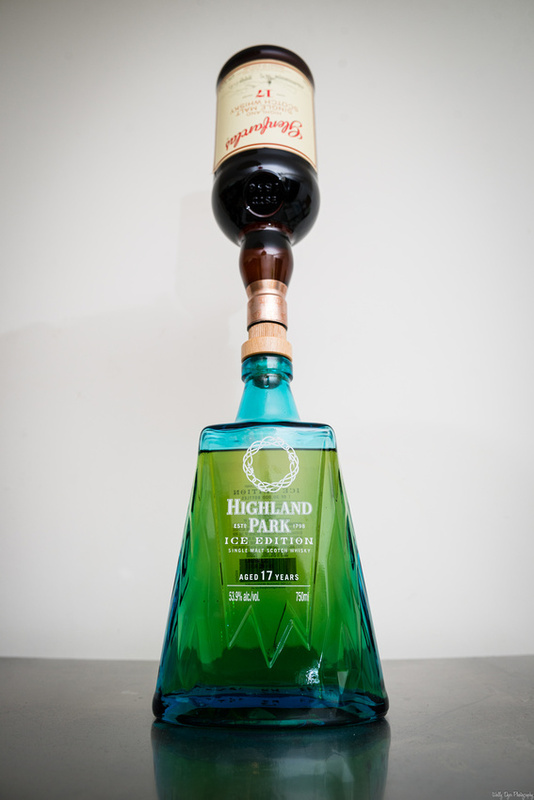 Unfortuantely, even after the water drew out the awesome sweetness, the HP still finishes like a fireball of peat. Pity. So there you have it. To my palate, personally, I’d pick the Glenfarclas every day. I don’t like peat. My pocket isn’t a fan of spending $300 on the HP either compared to the $100 I spent on the Glenfarclas. It’s not often that I’d claim I have a definite winner in my book but there are too many factors that push the scale in one solid direction… for me. But everyone’s palate is different. Which do you prefer? Have you tried both? Let us know!! Next Post Scotch N Sniff’s 2016 Christmas Gift List!